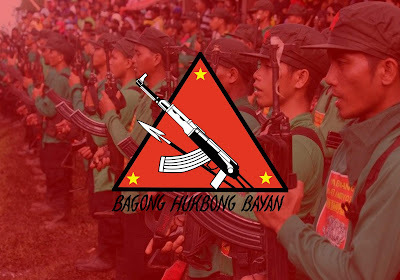 BUENAVISTA, Agusan del Norte – Seven troopers of the 23rd Infantry MATATAG Battalion (23IB) were wounded in an Improvised Explosive Devise (IED) attack by the Communist Party of the Philippines – New People’s Army terrorists (CNT) after an encounter at Sitio Afga, Brgy. Lower Olave, Buenavista, Agusan del Norte on September 18, 2018. Reportedly, the NPA terrorist group led by Alias Yolly detonated a landmine after few minutes of the firefight with the 23IB. The casualties suffered minor bruises from the shrapnel of the landmine and were immediately evacuated from the encounter site. "Incidents like this, will not shake our will to fight. In fact, it will push our troops to exert more effort. We have information from a concerned citizen that there have been NPA terrorists in their area, which is the main reason why 23IB launched an operation more than a week ago,” he added. Prior to the incident, the troops have already encountered the same NPA terrorist group of Alias Yolly in Sitio Bulak of the same area. The firefight lasted for 30 minutes with more or less 15 members of the NPA side. After the encounter, troops found an NPA terrorist dead body with his M4 rifle. It was identified by the Rural Missionaries of the Philippines – Northern Mindanao Region (RMP-NMR) as Rex Hangadon, 23 years old, and a Lumad farmer. “Unfortunately, the dead body was a Lumad and was identified by former rebels as Alias Ipit. On the other hand, operating troops were able to recover the following during scouring the encounter site: four cellphones; Seven SIM Cards; two memory cards with NPA pictures and videos; one short mag of M16 with 18 live ammo; subversive CNTs documents; and one small solar panel. Currently, forensics are inspecting the recovered cellphones and sim cards.” Molina added. The 4th Infantry DIAMOND Division meanwhile, expressed its sadness at the fact that there are Lumads who are continuously deceived and recruited by the NPA terrorists to believe in their failed ideology. “This could have not happened if these NPA terrorists heed the call of going back to the fold of the law and experience a life away from hardship and hunger," Major General Ronald Villanueva, Commander of Army’s 4th Infantry Division said. The new Implementing Rules and Regulations of the Enhanced Comprehensive Local Integration Program (ECLIP) has been signed. This ECLIP is the program of the government to help the reintegration of the former rebels who wish to abandon the armed struggle. Since the start of our campaign, we have been encouraging members of the NPA to go back to the folds of the law and be an active partner of their community,” he added.